A deal that will take the Puregold store count to 324 in the Philippines has been approved by the Securities and Exchange Commission. It involves a merger for Puregold Price Club with three supermarket companies owned by Estenso Equities, its 50-50 JV with Ayala Land: Daily Commodities, First Lane Super Traders and Goldtempo Company. The three Estenso Equities units comprise 17 stores mainly in Cabanatuan City, and the provinces of Aurora, Bulacan and Rizal. 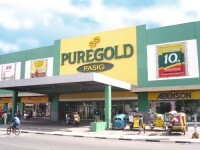 They will all soon carry the brand name and be converted to Puregold stores. Under the merger terms, Puregold will issue paid-in capital of up to US$10.9 million (PHP922.7 million), and also common shares pegged at PHP14.5 million. The merger follows Puregold’s acquisition of five B&W (Black & White) stores in Roxas City, Capiz, in August, bolstering its store presence in the Western Visayas region.